You've heard of college scholarships. What about elementary school scholarships? No, I didn't think so. Some of the most overlooked scholarships are ones given out to students in elementary school, middle school, and junior high, to be held until the student goes to college years later. Now, if young students do win one of these scholarships and don’t know where they want to go to college yet (understandable, considering most 5th graders haven’t even decided if they prefer macaroni and cheese or hot dogs), how the money is distributed is up to the scholarship provider. Some send you a check directly, and others will hold onto it until you decide to what college you’re going to attend. 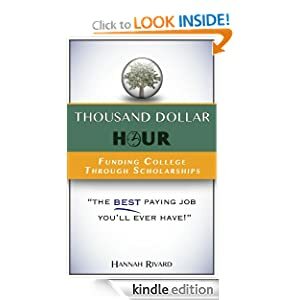 The advantage of finding and applying for scholarships so early is that there are very few applicants for those scholarships, because no one thinks of looking for them that early. So that means getting them is best started early!